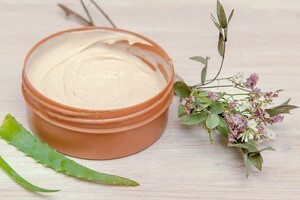 In order to market innovative and high-quality products, the cosmetics industry is subject to increasingly complex regulatory requirements as well as economic and seasonal constraints. To face these numerous challenges, mastering all the stages of the process of the cosmetic product life cycle is crucial. Behind the major stages of each life cycle of a product, there are in fact many sub-stages to be managed, such as; market research, formulation, management of the product information file, management of regulations, and so on. Creating the marketing brief is key when developing the new product as it is the starting point of every project. The more detailed it is, the easiest it will be to use it. Including in the marketing brief are the product and packaging requirements such as the product category, desired function, color, odor, texture, size, etc. Once it is approved, it can be shared with other departments to start the product development. Research and Development team will use it to create the formula and product prototype. Packaging team select the product pack based on requirements indicated in the brief. The first stage is decisive, it will determine the whole process and product success. Based on the requirements of the marketing brief, scientist can now work on the cosmetic product formulation. Each claim is analyzed and several prototypes are created for comparison. Concentration, allergens, chemical reactions or costs are evaluated to match the requirements and ensure product safety. Once the formula has been defined, the teams need to select raw materials and packaging suppliers. List of requirements such as substances’ function, allergens, size, color, odor, etc., are sent to several suppliers to be compared. Quality, costs, function are then analyzed for a final validation. As soon as raw materials are approved, the formula is finalized and the prototype is created. After selecting packaging suppliers, it’s time to work on the artwork design. Teams have to design the product outer packaging. Packaging is the first thing that consumers will see and read about the product. Text, colors, graphic, everything’s is chosen meticulously according to the outer packaging and marketing brief requirements. In order to be launched, product has to be safe to use and comply with regulations where it will be commercialized. Several quality testing must be taken such as microbiological, toxicology, stability tests in order to proof product safety. In addition, all product components – including chemical substances and packaging, must be checked and compliant with the country of commercialization. Compliance teams must gather all the documents and information about the product that are required by countries legislation such as the Product Information File, Safety Data Sheet, Cosmetic Notification Form, etc. When each steps of the new product development have been checked and approved, it is time for a check. The final product is reviewed to ensure its conformity with the initial marketing brief. If the prototype passes the final tests the production can start. The product will be then be commercialized while teams will already be working on the next one. Through this entire complex process, teams have to work in collaboration to meet deadlines and respect product launch date. Lascom PLM, offers a tailored solution to ease NPD processes and reduce time to market. Collaboration between departments and with suppliers is made easy and product development smoother. Share the post "Life Cycle of a Cosmetic Product: What you Need to Know"